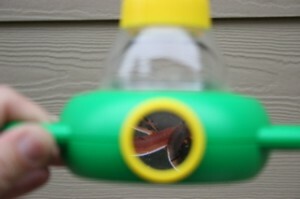 Have you ever wanted to see Red Wigglers magnified? or see them digest food? I have!! I’m sure you’re not surprised. I love everything about these little guys. Seriously, I even love their tiny digestive tract and their tiny, little mouths and their teeny, tiny, little hearts (Unfortunately, you can’t see those through the viewer) and their little poops! These guys are amazing. 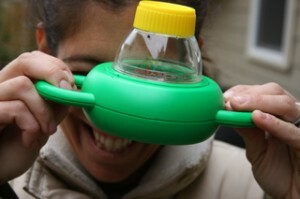 I bought 5 of these viewers after conducting a workshop with the Environmental Center a few years ago. Denise introduced me to these cool items! These come along with me when I make presentations and deliver my worm bin packages. Not everyone partakes, but I give them the option…. I try not to take it personally if they decide not to look! Carlos took this really cool shot! You can see my buddies the way I see my buddies! Up close and ummm personal. I hope they don’t mind the way I spy on them! I am their biggest fan! xoxoxoxo I love you Red Wigglers!!! If you desire to check them out or some other creature, click on the links!